French police began on Monday to clear out two illegal refugee camp sites in Paris, following a similar operation last week, in the government's latest attempt to deal with a migrant influx that France has been facing for the past three years. 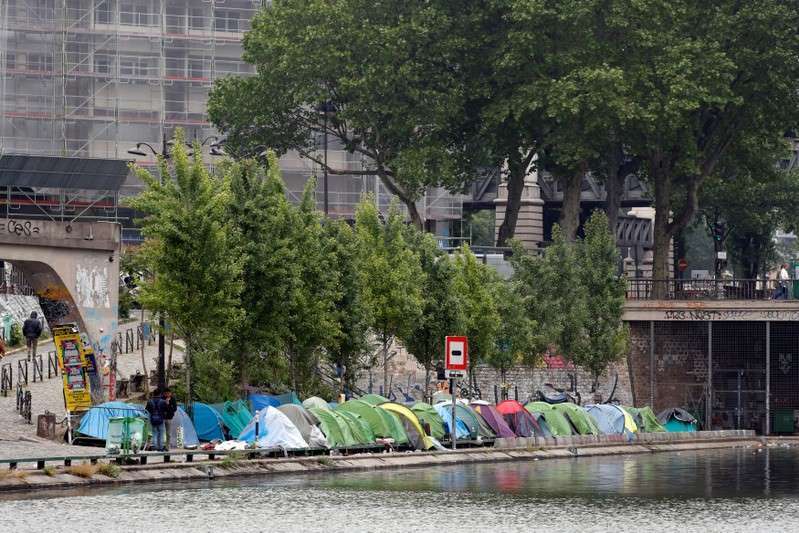 A statement from the Paris police department said authorities were in the process of clearing out two illegal refugee campsites at the Porte des Poissonniers, in northeast Paris, and another site next to the city's Canal Saint Martin. Last week, authorities had cleared out around 1,000 migrants from the larger "Millenaire" camp, also in northeast Paris. Those migrants had subsequently been taken to various accommodation centers around the capital. Europe has faced a migrant crisis since 2015, following wars in Libya and Syria. More than 1 million people from Africa and the Middle East, as well as many from Afghanistan, have tried to reach the continent via Turkey or by sea. In France, much of the migrant influx ended up in the northern port of Calais, where a giant slum was cleared by the authorities in late 2016. Most of the rest have gathered in Paris and the southeast near the Franco-Italian border.